When we hit that intermediate stage of our learning, we’re often told that now’s the time to start switching over to native source material and to step away from resources aimed at learners. But how do you know just what native source material to choose? Our hopes high, we take to Google hoping to find great French books or films, but lo and behold, the majority of the suggested material is what we politely call ‘classic’. In other words, it’s old. You wanted recommendations for films, tv shows, books or songs in French that are fresh. Those that are relevant today. Today, I’m excited to share a post from Emily Handley of French Affliction. She’s worked hard to curate this list of 10 French movies, 10 French songs, 10 French books and 10 French tv shows that are not only interesting and relevant, but they also contain language that are suitable for those at the beginning level all the way up to the advanced level with straightforward vocabulary. The most famous of Saint-Exupéry’s books, Le petit prince (The Little Prince) is a philosophical fable presented as a children’s book. The narrator, a pilot who’s been forced to make an emergency landing in the Sahara Desert, hears a mysterious voice asking him to draw a sheep. This turns out to be the title character, a young prince who lives on an asteroid no bigger than a house in the company of a beautiful rose that he is in love with. Published in 2005, Claudel’s novel centres on the title character Monsieur Linh, who has been forced into exile from his unnamed country of origin after a war. He begins a friendship with Monsieur Bark, a war veteran, after arriving in his new country. With Monsieur Linh having lost his family in his home country and Monsieur Bark having lost his wife, the bereavement experienced by the two men draws them closer. However, as the two men do not speak the same language, they communicate instead through gestures in this friendship based on their shared grief. Social climber Georges Duroy mounts a ruthless seduction campaign in his quest for wealth and fame in this novel by Maupassant. After finding a job as a columnist for a Parisian newspaper, he takes on several mistresses in quick succession. When he gets married for the second time in a huge society wedding, it becomes clear that his days as a seducer are far from over. As he stands with his new wife on the steps of La Madeleine church in Paris, Duroy’s thoughts turn to one of his old flames and the possibility of rekindling their relationship. Written during the Second World War, this novel by Vercors (the pseudonym of Jean Bruller) tells the story of a German officer who lives with an elderly Frenchman and his niece following the German invasion of France. The officer, who appreciates French culture, unsuccessfully attempts to establish a bond with his hosts, who express their patriotism and loyalty to France through silence and keeping their distance from him. The novel was the first to be printed by Les Editions de Minuit, a clandestine publishing house set up by Vercors and his friend Pierre de Lescure to bypass the literary censorship put in place in Occupied France during the Second World War. Divided up into thirty-five short essays with the longest coming in at three pages, this collection of short stories offers lots of little snapshots of different aspects of French life. In one story, Delerm writes about the ritual of reading the morning newspapers on the dining table surrounded by cups of coffee and pots of jam, and in another describes the pleasure of savouring a freshly baked and still-warm croissant while walking back from the bakery in the early morning. Flaubert’s account of an unhappy housewife who turns to adultery was considered so controversial when it was published in the 1840s that it was the subject of a trial. Although the author’s descriptions of Emma Bovary’s extramarital affairs are no longer thought to be obscene or immoral, his insightful depiction of her dissatisfaction and boredom still resonates today. L’Étranger (The Outsider) tells the story of Meursault, an emotionally detached French Algerian who is sentenced to death for shooting an Arab man. When Meusault is tried for the murder, the prosecution seize on the fact that he did not cry at his mother’s recent funeral. They claim that this lack of emotion must mean that he feels no remorse for killing the Arab man and that he therefore deserves the death penalty for his crime. Like Emma Bovary, Thérèse Raquin is trapped in a marriage to a man whom she does not love. After being raised by her aunt, she has been forced to marry her cousin, the sickly Camille. Thérèse’s life of boredom and drudgery suddenly changes when she meets one of Camille’s childhood friends, Laurent. She starts a passionate affair with him, which leads to deceit, lies and, eventually, murder when she and Laurent hatch a plan to kill Camille so they can finally marry. Known in English under the title A Bag of Marbles, this novel is about Joffo’s own experiences of growing up in a Jewish household in Paris during the Second World War. The story starts in 1941 when the author is ten years old, a year after the Germans have invaded France. He then writes about his family’s escape from Paris, as they make arrangements to cross the demarcation line into the free zone in the south of France. The novel’s been adapted into a comic strip as well as into two films, with the most recent one having been released in early 2017. The opening novel of a science-fiction trilogy, Bernard Werber’s Les Fourmis (The Ants) is set in the early twenty-first century, around a decade after the book was first published in 1991. Werber writes about two worlds, the world of the ants and the world of the humans, which come together during the novel. In the world of the humans, unemployed locksmith Jonathan moves with his family into a large house in Fontainebleau after inheriting it from his uncle. Shortly after settling in the house, Jonathan receives a mysterious letter from his uncle telling him never to go down into the house’s cellar, but he ignores this warning after the family dog falls into the cellar and he goes down to rescue it. This book, which takes its title from one of the most famous passages in Le Petit Prince, is a witty and refreshingly unclichéd look at how Parisians see the world. Covering everything from Berthillon ice-cream and salted caramel to why wearing white socks is a cardinal sin in the City of Light, Magny’s book is a must-read for anyone in love with the French capital. This became famous around the world in summer 2013 after Stromae filmed himself singing it in an apparently drunk state at a Brussels tram stop and uploaded the footage to YouTube. The clip’s now had over 160 million views. Featured on Joyce Jonathan’s second album Caractère, this song showcases her gentle vocals alongside a jaunty guitar accompaniment. There’s lots of clever wordplay here, as Camille sings of falling out of love with Paris’s ‘picture-postcard stairways’ and ‘grey skies’. While she considers leaving France’s capital for Toulouse, Seville or even Rio, its charm proves in fact to be too strong to resist, and she can’t help but return to the City of Light. Before becoming Mrs Sarkozy and one half of France’s First Couple, Carla Bruni was best known for her music career. She sings here of youth and the passing of time, with a dynamic piano accompaniment contrasting with the melancholy lyrics. Paris-based singer Indila had a huge success with this song, which can be translated as ‘last dance’, from her debut album Mini World which came out in 2013. Following his decision to retire in 1966 at the height of his music career, Brel turned his hand to acting and directing before moving to the Marquesas Islands in French Polynesia. He wrote this song about his island home for his last album, released in 1977. This song, from Maé’s 2016 album L’Attrape-Rêves (The Dream-Catcher), is about a woman who, since moving to Paris, has abandoned her old friends for brunching, Facebooking and having apéritifs by the Seine. In this duet with Algerian singer Souad Massi, Lavoine sings of this attachment to the City of the Light, from admiring the Eiffel Tower to toasting to the health of its lovers and drifting in and out of its metros. Hardy, who is known as much for her fashion icon status as for her singing, was part of the ‘yé-yé’ movement that became popular in France during the 1960s. Here, she sings of her memories of her childhood friends and the house that she grew up in as a young girl. After emigrating to France from Algeria as a teenager, Macias quickly felt welcomed by his host country. The idea for this song came to him after a particularly enthusiastic welcome from the audience at a performance he was giving in northern France. He co-wrote it with lyricist Jacques Demarny, and since its release in 1967, it’s become a popular French musical standard. Braquo, which translates into English as ‘hold-up’, follows the attempts of four Paris police officers to clear their colleague’s name following his suicide after he is suspected of seriously harming a prisoner in custody. If you enjoy many of the crime-based television series in your native language, watching this particular series is a great way to switch over an activity you enjoy into your target language. This comedy series, which launched the career of French actor Jean Dujardin, centres on the lives of lovebirds Loulou (Dujardin) and Chouchou, played by Alexandra Lamy. Each episode starring the couple lasts around six minutes, and is made up of several sketches that can show anything from them relaxing together at home to attending a wedding, watching a show at the Moulin Rouge or even being stranded on a desert island. First shown in France in 2009, Un village français looks at the effects of the Nazi occupation of France during the Second World War. It takes place in a fictional village in the Jura mountains, not far from the demarcation line that separated Occupied France from ‘free France’. Quite a few well-known French actors appear in the series, including Audrey Fleurot and Thierry Godard, who both have major roles in Engrenages. Engrenages, a police and legal drama set in Paris, first became known in the UK after being shown on BBC4 under the translated title of Spiral. The show, which prides itself on its realism, gives the viewer a thrilling snapshot of the French justice system through the eyes of an idealistic defence lawyer, a police chief inspector and their colleagues. The title, Engrenages, carries interesting connotations in the language. Set among the dramatic landscapes of the Haute-Savoie region in eastern France, Les Revenants (The Returned) is an eerie, exciting and original take on typical zombie horror fare. The residents of a quiet town in the mountains are left in a state of shock when former residents, many of who have been dead for years, come back to life and wanting to resume their lives as normal. Their reappearances in the town coincide with other strange events, from unexplained power shortages to the water in the local reservoir suddenly lowering to a worrying level. A long-running soap opera, which is something like the French version of Eastenders or Neighbours, follows the lives of a group of families in Le Mistral, an idyllic (fictional) neighbourhood somewhere in the coastal city of Marseille. The show broadcast its three-thousandth episode in 2016, and is so popular that tourists visit Marseille just to visit its chocolate-box filming locations. Based on a Spanish crime drama, Disparue (The Disappearance) focuses on efforts to find a teenage girl when she goes missing after going to a concert with friends. Although this thriller mini-series is only made up of eight episodes, it manages to be fast-moving as well as sustaining a satisfyingly complex storyline. The rather overbearing tone of the title (Don’t do this, don’t do that) reflects the differing views and attitudes of its main characters. On one side, the laidback Bouley family. And on the other the Lepic family, their more conservative neighbours. When sixteen-year-old Clem Boissier goes to the doctor’s to find out why she’s been feeling under the weather, the last thing she expects to hear is that she’s about to become a mother. After telling her best friend and swearing her to secrecy, she then struggles to find the right moment to tell her family. At the time of writing, this popular series has been running for seven seasons in France, and an eighth series is due to start filming. 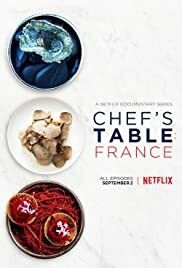 This Netflix-produced series Chef’s Table, which has been nominated for an Emmy, visits the land of wine and cheese to find out the secrets of the most respected French chefs. We hear from Adeline Grattard, who’s behind the bao restaurant Yam’Tcha, and Alain Passard, who took a risk that paid off when he took red meat from the menu at L’Arpège in Paris and replaced it with fresh vegetables from his biodynamic farms. After Bienvenue chez les Ch’tis, this was the second highest grossing film ever in France. The film focuses on the bond between Philippe, a wealthy Parisian who becomes paralysed after a paragliding accident, and his live-in carer Driss. Both Philippe and Driss are wary of each other when Driss starts to work for him, but this initial distrust leads to a close friendship between the two men. Featuring Audrey Tautou in the title role (along with Paris’s Montmartre district in a supporting role), Jean-Pierre Jeunet’s film is about a young woman who spends her free time doing good deeds for strangers. The Café des 2 Moulins, where Amélie works as a waitress in the film, has become a popular tourist attraction since appearing in the movie. Based on Henri-Pierre Roché’s novel, Truffaut’s film centres on the love triangle that develops when best friends Jules and Jim both fall for the beautiful Catherine. Even though she later goes on to marry Jules, Catherine still seems undecided about which of the men she likes, even beginning an affair with Jim while she is married. Jeanne Moreau gives a wonderful performance as the charismatic and unpredictable Catherine, and Oskar Werner and Henri Serre star as Jules and Jim respectively. Catherine Deneuve appears here as Suzanne Pujol, and the ‘potiche’ (‘trophy wife’) of the film’s title. It’s the mid-1970s, and everyone around Suzanne sees her as a mother and a housewife, while her factory owner husband Robert brings home the bacon. But when Robert’s employees rebel against him, it’s up to Suzanne to step up to the plate and sort out the situation. Filmed in black-and-white, La Haine (‘hate’) focuses on 24 hours in the life of three teenage friends, Vinz, Hubert and Saïd. Living on a housing estate on the outskirts of Paris, they learn at the start of the film that a friend of theirs, Abdel, is in a coma after being beaten up by police. After hearing the news, Vinz promises himself that he will kill a policeman if Abdel dies from his injuries. Insurance agent Louis Échard (Romain Duris) is a man on a mission. Having just hired Rose Pamphyle as his secretary, he’s seen how fast she can type, and has the idea of entering her into a regional speed-typing contest. Although Rose is beaten at the competition, Louis continues to believe in her, and decides to take her under his wing to train her for the world speed-typing championships. Over time, Louis and Rose’s professional relationship develops into a romantic one, in this film inspired by My Fair Lady. François Bégaudeau stars in this film adaptation of his novel of the same name, where he writes about his experiences of teaching in an inner-city school in Paris in the 20th arrondisement. It’s an interesting view into the French education system as well as the struggles of teens in France. It received the Palme d’Or at the 2008 Cannes film festival. The rainy port city of Cherbourg is given the Technicolour treatment by director Jacques Demy, who took his inspiration for the film from Hollywood musicals. Catherine Deneuve plays teenager Geneviève Emery, who falls head over heels in love with local car mechanic Guy. The young couple’s dreams of a future together are interrupted, however, when Guy is called up to fight in the Algerian War. Geneviève inadvertently breaks her promise to wait for his return when her family’s financial difficulties force her to accept a marriage proposal from a wealthy businessman. Marion Cotillard won an Oscar (a first for an actress in a French language film) for her portrayal of the singer Édith Piaf in this biopic, which takes its name from one of Piaf’s most famous songs. The film recaps the main events in Piaf’s life, from her childhood in Paris and her early success as a singer to her meeting with Marcel Cerdan, who would later become her lover all the way to the events leading up to and surrounding her death. The most successful of all of the Astérix and Obélix films to date, this story was adapted from the comic Astérix et Cléopâtre by René Goscinny and Albert Uderzo. Astérix and Obélix are transported to Ancient Egypt for this adventure. Along with their friend Panoramix, they are asked to help the architect Numérobis with the seemingly impossible task of building a huge palace in the middle of the desert in three months. Directed by French actor and comedian Dany Boon, who is himself a Ch’ti (someone who lives or comes from the area around Calais), this comedy follows post office manager Philippe (Kad Merad) as he’s transferred from his job in the south of France to Bergues, in the far north. His friends and family warn him that the north is freezing and inhospitable and, when he gets there, he’s unable to make head or tail of the Ch’ti dialiect. Will he live to regret his move? What are some French native materials you’ve used to up your ability in the language?